A. J. Foyt has always believed in God, America and himself -- and not necessarily in that order. A man of conviction, he is loyal to his friends and indifferent to his enemies. He is brash and blunt. He expected no quarter on the racetrack, and gave none himself. He knew only one speed -- pedal to the floor. While Foyt says he really didn't have any heroes, he also says, "I guess John Wayne would be one. I just respected the way he acted." The same way people respect Foyt, a man with as much true grit as the Duke. Foyt was the man when it came to the Indianapolis 500, which for generations was the most significant auto race in the United States. The tough Texan is an Indy legend, the first driver to win the race four times. He is the only person to have driven in the race for 35 consecutive years. He did 4,909 laps around the oval for a total of 12,272½ miles (or about five trips from New York to San Francisco). He earned $2,637,963 competing in the Indy 500. His seven national Indy car championships remain a record. So do his 67 Indy car victories, which are 15 more than the No. 2 driver, Mario Andretti. One year, Foyt won an astounding 10 of 13 races. He succeeded in other forms of racing as well. He is the only driver to achieve this triple: victories in the Indy 500, NASCAR's Daytona 500 (in 1972) and the 24 Hours of Le Mans international sports car race (with Dan Gurney in 1967). And no other driver has at least 20 victories in USAC's four major categories: Indy cars, stock cars (41), sprint cars (28) and midgets (20). In the 1980s, with his career in Indy car racing on the down side, he won the 12 Hours of Sebring and the 24 Hours of Daytona twice. 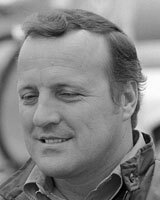 Foyt won his first race when he was 18, capturing a midget race at Playland Park, a quarter-mile dirt bullring in his hometown. That victory launched one of the most exceptional careers in auto racing, remarkable in its dominance and longevity. He joined USAC in 1957 and competed in his first Indy 500 the next year, finishing 16th after spinning in the south chute after 148 laps. In 1960, he not only won his first Indy car race, but also his first national championship. He won four races that year. In 1961, Foyt became the first driver to successfully defend his points championship and win the Indy 500. He won the race with a then-record speed of 139.13 mph, surviving a late pit stop for fuel when Eddie Sachs was forced to pit because of a blistered tire. His third national championship came in 1963, when he won three events and finished no worse than eighth in any race. But it was nothing compared to Foyt's dominance in 1964, the year he set his record winning percentage of .769 with 10 firsts in 13 races. (Al Unser Sr. matched the 10 victories in a year, but he needed more races.) Foyt's most important win that year came in the Indy 500 when he outlasted Rodger Ward and Lloyd Ruby and finished with an average speed of 147.45 mph. Besides winning his fourth national title that season, another big accomplishment for Foyt in 1964 was his victory in the Firecracker 400 stock car race on July 4. Foyt won his fifth national championship in 1967, coming in 80 points ahead of Andretti. He romped to his third Indy 500 victory, with a then-record speed of 151.207 mph. Narrowly missing a last-lap pileup on the main straight, Foyt finished more than two laps ahead of Unser, the second-place driver. It would be another decade before Foyt won again at Indy. At age 42, he raced around the Brickyard at 161.331 mph. With prize money of $259,791, Foyt became the first to top $1 million in Speedway history. Foyt's four victories at the Indy 500 haven't been surpassed, though Rick Mears and Unser have tied his record. Foyt's final two Indy car national championships came in 1975 and 1979. In the latter year, he also won the USAC stock car championship, becoming the only driver to win both titles in the same year. He won his last Indy car race in 1981, taking the Pocono 500 and registering his record ninth victory in 500-mile Indy car races. His last race at the Brickyard was in 1992, when he qualified at 222.798 mph for the 23rd starting spot. He worked his way into the top 10 300 miles in and finished ninth, five laps off the pace. Foyt, who was the inaugural inductee into the Motor Sports Hall of Fame in 1989, practiced at Indy in 1993 but retired on the first qualifying day. A self-made millionaire, his A.J. Foyt Enterprises and race shop have been based in Houston since 1965. Foyt remains active in motor sports by fielding two teams in the Indy Racing League. He also serves on the board of directors of Riverway Bank and Service Corporation International, the nation's largest funeral business.